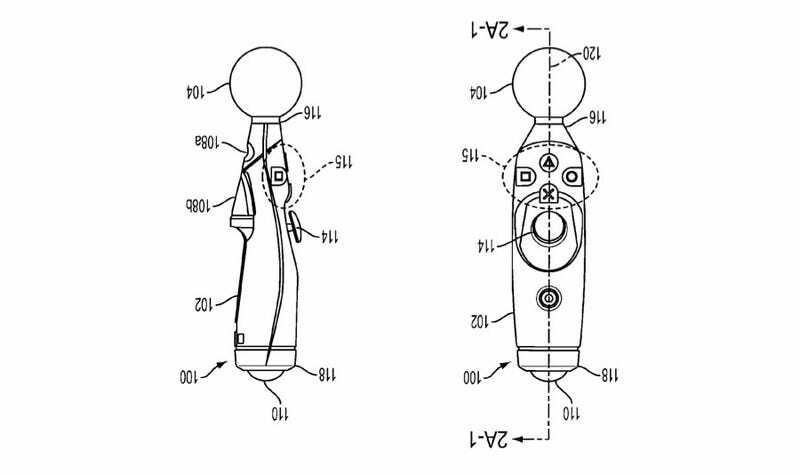 As nice as Sony's PlayStation Move is, we can't help but look at this old patent for the device and think one of its original designs was a little nicer. Filed last year but only recently being released to the public, this patent highlights just how much more Sony was looking at including in the peripheral before things had to be trimmed back in time for its release on the market. There's an analog stick on the actual Move controller, not banished to a second peripheral like it is in the final model. There's a trackball on the bottom of the thing, giving it some mouse-like control when waving it the air just won't cut it. There's even a joystickesque capability in the Move's "ball", with users able to shift it around independently of the rest of the peripheral. We may never know why Sony decided against using this iteration of the controller, but we can guess, and our guess would be that including all this stuff in the one device would have made it super-expensive. Still, we can dream, and having all that stuff in the one pad — instead of having to buy and use two individual controllers — would have been a neater solution than the "Wii Remote and Nunchuk" thing the Move has going on right now.